For non-tech people, moving from an Apple iPhone 8 to an iPhone X seems like a massive step up. There’s a larger screen, a new OLED display, a new A11 Bionic chip – ooh that sounds fancy – and, lastly, a 12-megapixel telephoto lens. I’m sure tech geeks look at this and might think that the changes don’t add up to a phone that costs $999. For others, the all-new iPhone X is a massive jump in everything that makes the iPhone so darn good that they’re willing to skip their daily Machiatto at Starbucks for half a year to purchase one. 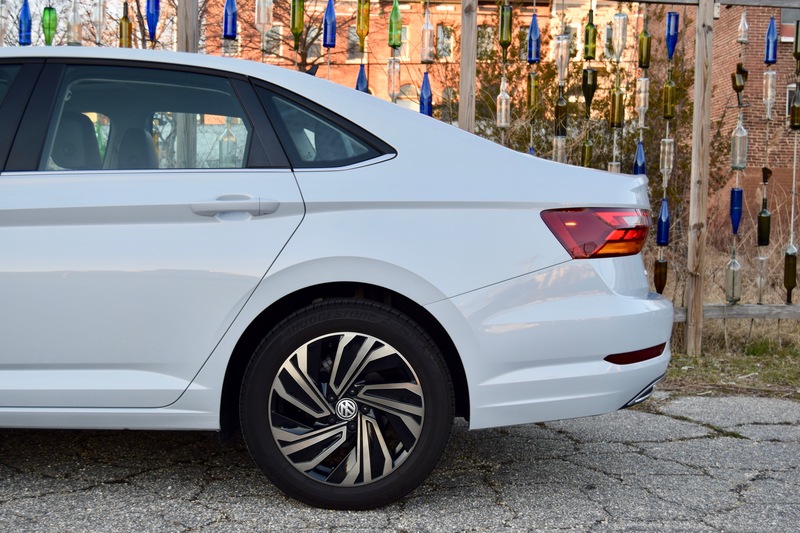 To the untrained eye, the 2019 Volkswagen Jetta might look like any other sedan that’s been updated for a new year. Yes, there’s a new exterior design, some might say, and some revised interior panels, but it’s just another car – just like the iPhone is another smartphone. But us car nerds, just like those tech geeks, well we know better. We know just how new, how radically different the new Jetta is from the old one. 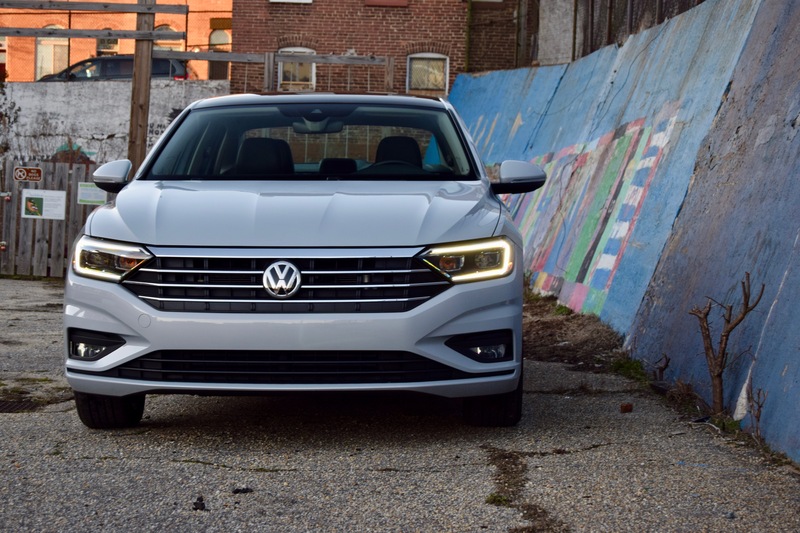 Like many other compact sedans, the 2019 Volkswagen Jetta grows in nearly every way over its predecessor thanks to the move to Volkswagen’s MQB architecture that underpins the Atlas and Golf. 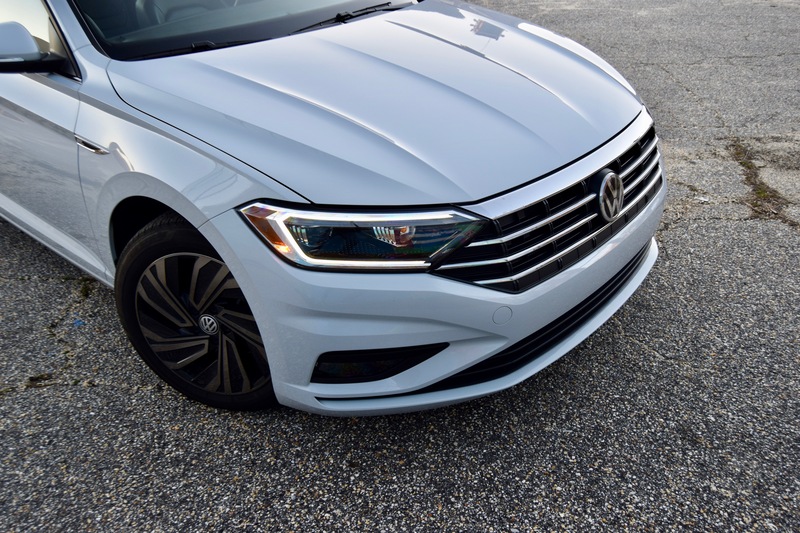 While the move to a new platform sees the Jetta expand in stature, it also results in the sedan moving upstream in the way it drives. There are two types of automakers. Compare the 2019 Mazda3 side-by-side against one from the 2018 model year, and you’ll get a sense of what the first kind of automaker likes to do with an all-new model. Do the same thing with the new Jetta and its outgoing variant, and you’ll see what the other prefers to do. 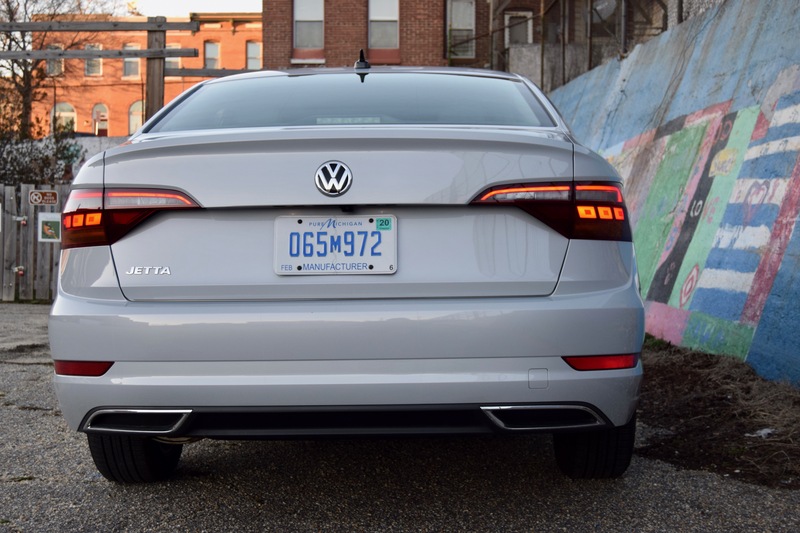 The 2019 Jetta looks different, but it’s an example of an automaker practicing restraint instead of penning a radical design in the name of being different. 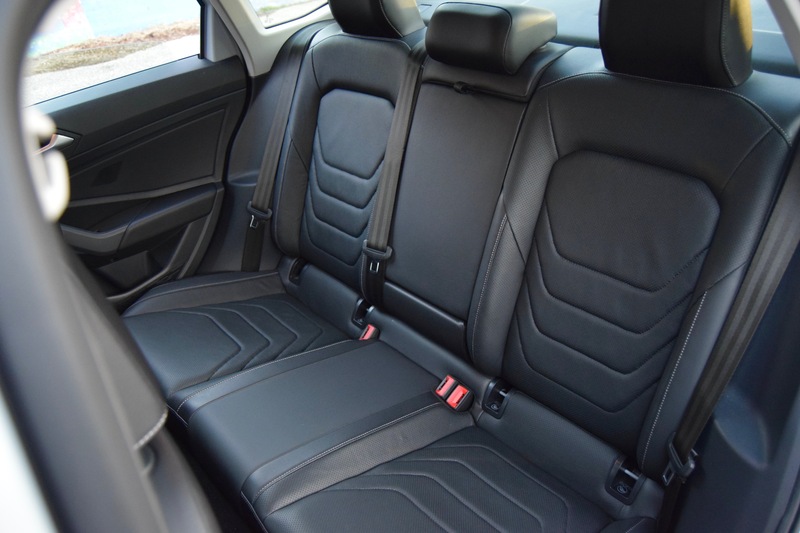 There’s really nothing that makes you go wow with the Volkswagen Jetta. It looks handsome, refined, and unmistakably German. With prominent body lines, the sedan does look a little more muscular in an attempt to mimic its larger Passat brother. But this isn’t the kind of car that makes you do a double take. 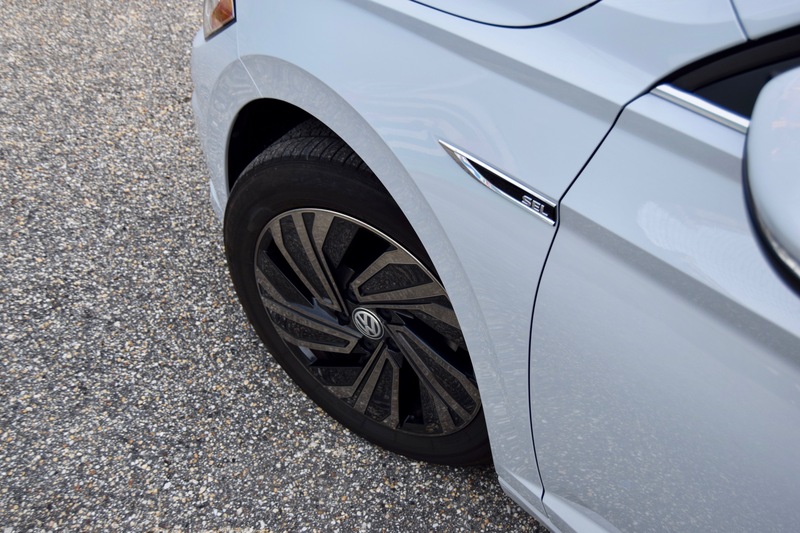 The 1.4T SEL Premium we tested was the trim at the top of the Jetta family. Despite being the range-topping trim, there’s not much to differentiate the most expensive Jetta looks from the most affordable. Still, you get things like 17-inch wheels, LED taillights, fog lights, LED headlights, LED daytime running lights, and a “rear sport valence.” Whatever that is. 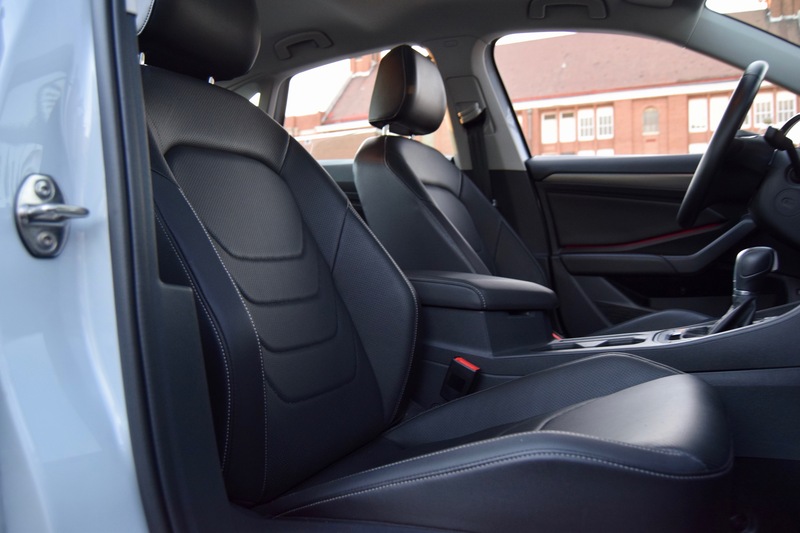 It’s business as usual on the outside of the Volkswagen Jetta, but the interior is filled with all sorts of organic shapes and curvy design elements. Just kidding. It’s as serious as solitary confinement. Black. Everything is black. The only color you get is from the 10-color ambient lighting system, which lets you pick anything your heart desires, but with something this serious, stick with red and you’ll feel like a proper bad guy. Sharp jagged edges also help with the diabolical nature that grows on you. For the most part, things feel pretty good on the inside. Things you interact with a lot have that sturdy German feel to them, while some things, like the door panels, feel downright awful. You can tell VW tried to cut costs in some areas, and the reason for that doesn’t become apparent until you start the car. 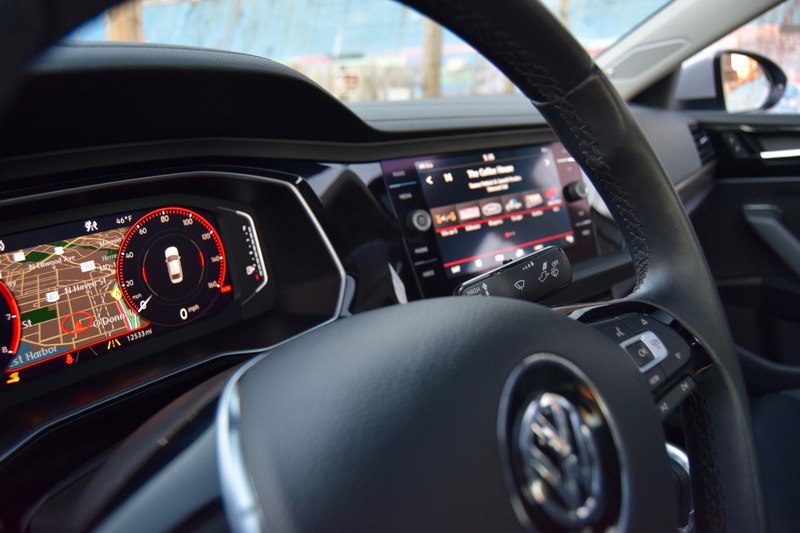 The Volkswagen Jetta’s real crowning point is its tech. 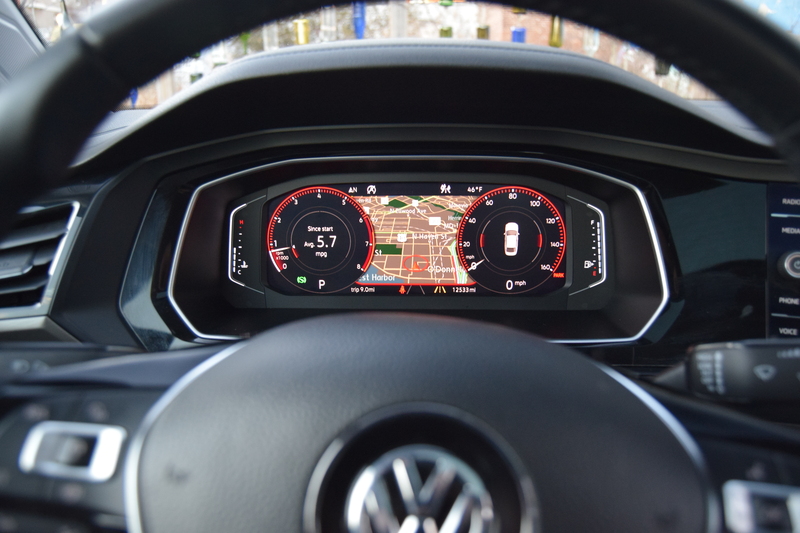 The SEL and SEL Premium trims come with VW Digital Cockpit, which is a mini-me version of Audi’s Virtual Cockpit system. 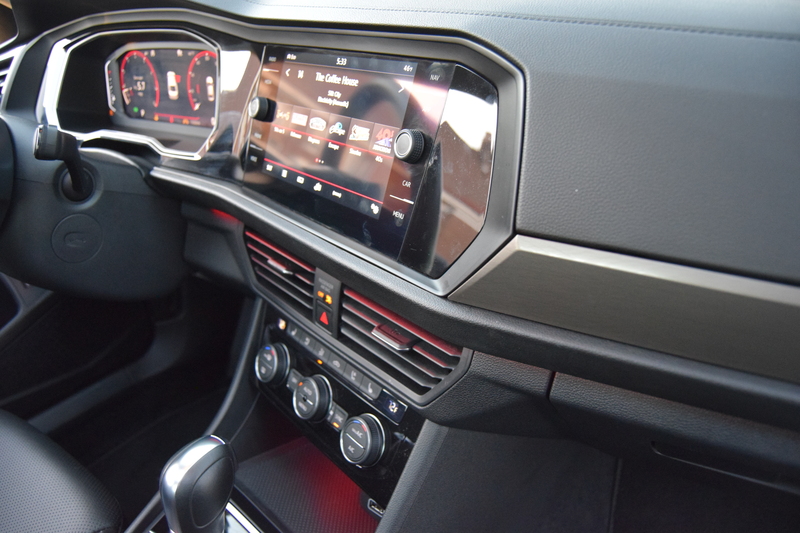 It includes an 8-inch touchscreen in the center console and a 10.3-inch screen in the instrument cluster. Together, you get the most high-tech compact vehicle in the segment that boasts a dizzying amount of configurability. Want a massive navigation screen directly in front of you? That’s possible. Or if you’d rather see beautifully crisp gauges showing you how far you’ve traveled and your fuel economy, that can also be done. Granted it’s not the easiest thing to use, and you’ll have to be willing to spend a lot of time learning all of the system’s intricacies, but boy is it amazing when you finally figure it out. The Jetta, being a VW, excels at being a normal car in every situation. The cabin is spacious, comfortable, and quiet. 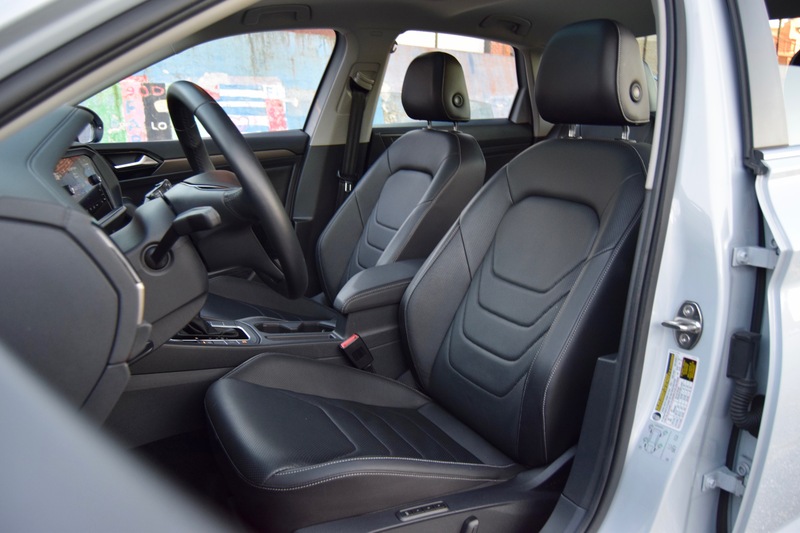 The back seat offers a large amount of space, and you get things like heated and ventilated seats at the front, which can be controlled through the awesome touchscreen. They’re heated at the back. The only downside to the Jetta is its small trunk that offers just 14.1 cubic feet of cargo space. Plain and simple: if you want a semblance of performance, wait for the upcoming Jetta GLI. For everyone else that can get by with just enough thrust to get around, the Jetta will be enough. 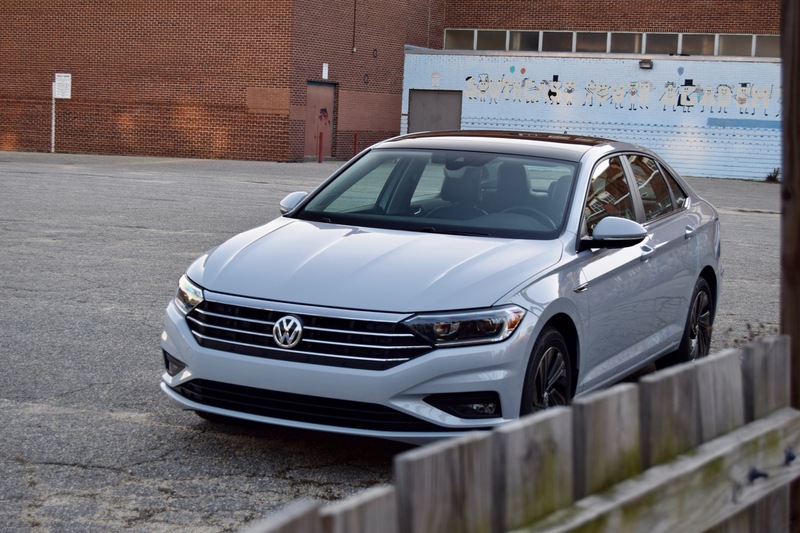 The entire Volkswagen Jetta lineup features a turbocharged 1.4-liter four-cylinder that, get this, makes 147 horsepower and 184 pound-feet of torque. That’s it! A measly 147 hp in a modern car. When you say it out loud, you almost think that Volkswagen forgot an extra 100 ponies somewhere. But that’s it. And it’s important to note that even for the compact segment, it’s a small figure. Instead of focusing on the horsepower figure – again, just 147 hp! – the driving experience is determined more by the torque. The turbocharged engine virtually has no lag, as 184 lb-ft of torque comes on nice and low in the rev range, and the eight-speed automatic transmission is more than competent. Slam the throttle from a light or when attempting to overtake, and the torque rushes in, ensuring you’ve got juice. Keep it down low, then, and you won’t have problems. The only trouble with revving the snot out of the engine is a coarse sound and zero reason to rev it from the lack of horsepower. Handling wise, the Jetta is a comfortable car that’s more concerned with ensuring you get to work without breaking a sweat, instead of ensuring you wind up at your destination in a good mood. There’s a solidity in the way the Jetta rides and handles bumps. It really feels like nothing can unsettle it. Even Baltimore’s worst, and the roads can get worse than Detroit here, couldn’t displace the Jetta. 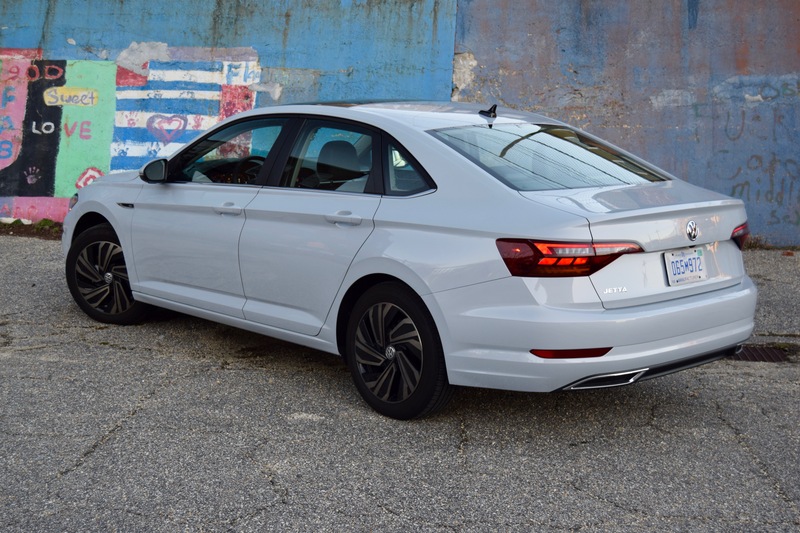 The MQB platform results in a Jetta that’s capable around corners, but let’s be honest, no one is going to drive this car in a quick manner around curvy roads. If you happen to stumble upon one of the few drivers behind the wheel of a regular Jetta that’s speeding on a curvy road, leave them alone at all costs, because something’s dreadfully wrong. 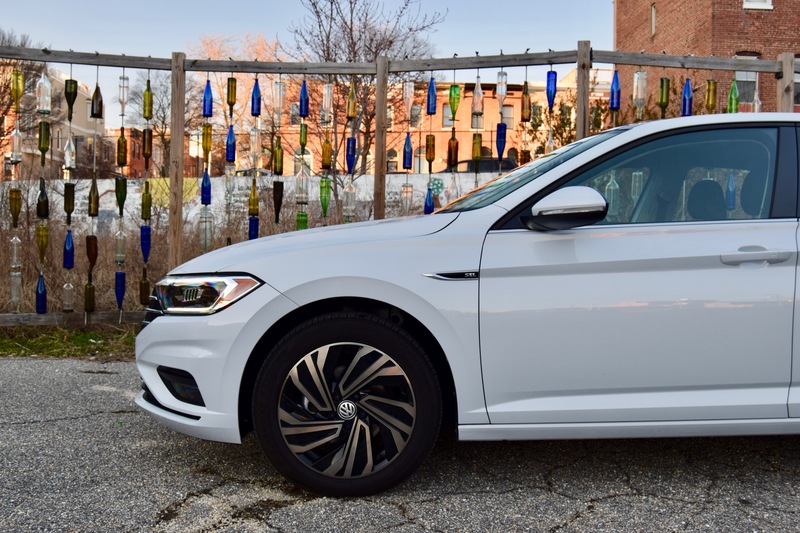 No, the Jetta isn’t meant to be exciting around corners, even if it is much more capable than the majority of drivers expect, but its fuel economy figures are downright impressive. The EPA rates the compact sedan to get up to 30 mpg city/40 mpg hwy/34 mpg combined. During a short highway blast, we saw 44 mpg. If the fancy Digital Cockpit system was to be believed, that’s incredible. Volkswagen offers a six-speed manual transmission on the base Jetta, but we’re only expecting a handful of people to buy that layout. The lack of high-end features and the vehicle’s incredible fuel economy with the automatic will see the majority of consumers jump to a trim with the eight-speed. 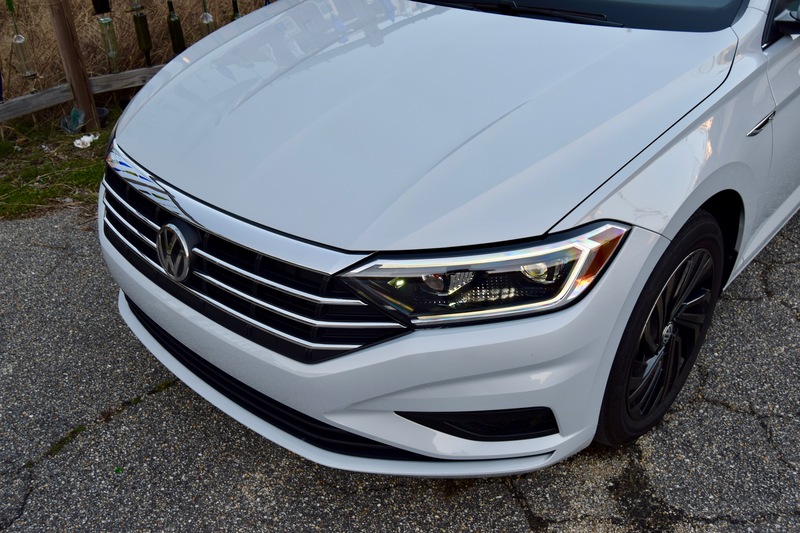 In a world where automakers are busy trying to make one car that excels at everything, Volkswagen, smartly, made the regular Jetta shine at being a comfortable daily driver. If you want a sporty ride and more performance, buy the upcoming Jetta GLI. That may sound like a massive downside, especially when you compare the Jetta directly against other competitors like the Honda Civic and the Mazda3, but it isn’t. The Jetta simply knows what it is and what it isn’t. There’s no pretending, no being catfished into expecting one thing and getting another. 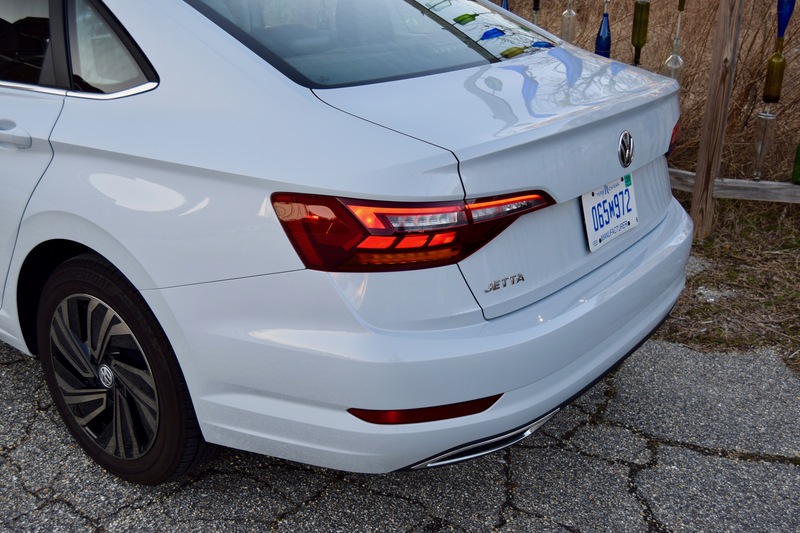 It won’t appeal to everyone, which is fine, but for those that have felt like other options have missed the mark when it comes to comfort, technology, or refinement, the Jetta might be the perfect machine, regardless of whether you’re a diehard Apple fan or an Android snob. Just be sure you’re willing to trade character for tech. Or you might find yourself trading the Volkswagen Jetta in when the next it thing comes out.